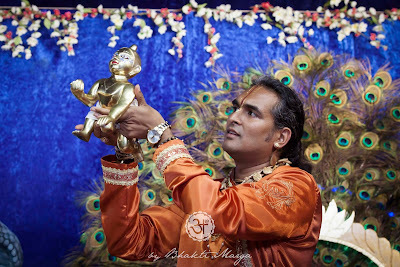 The month of Karthik is considered to be the dearest to Lord Krishna. This is the month when we celebrate the joyous pastimes and Leelas of Sri Krishna. Another name for Karthik is “Damodara,” meaning, “He who is bound around the abdomen." The name, Damodara, can be divided into two parts, ‘Dama’ meaning ropes, and ‘Udara’ meaning belly. This is a name for Krishna that comes from the Leela when Mother Yashoda bound Krishna, who was being a little naughty, with ropes around his waist to a wooden mortar. That's why Karthik is also called Damodara. O Lord Damodara, in Your form as a baby Mother Yashoda bound You to a grinding stone with a rope for tying cows. You then freed the sons of Kubera, Manigriva and Nalakuvara, who were cursed to stand as trees and You gave them the chance to become Your devotees. Please bless me in this same way. I have no desire for liberation, your love alone I crave. O Lord, the entire universe was created by Lord Brahma, who was born from Your abdomen, which was bound with a rope by Mother Yashoda. To this rope I offer my humble obeisances. I offer my obeisances to Your most beloved Srimati Radharani and to Your unlimited pastimes. "...there were two trees in the courtyard and these two trees were the sons of Kubera. Kubera is the god of money and he had two sons cursed by Narada Muni due to their pride and arrogance. So Thakurji said, “It’s time to deliver them now.” He went crawling, pulling the mortar behind him, and went in between the two trees with it. He pulled the stone so hard that the trees fell. You know, Kubera stands for material wealth. Very often when people have material wealth, what awakens inside of them is also pride of what they have and arrogance. They think that this will last forever. It lasts only until life lasts, that’s it. More than that, no. As long as you breathe. The moment you breathe your last breath it is finished. Pride and arrogance are normal in somebody’s life. Because you have a mind and the mind has hundreds of negative qualities which very often one likes to entertain. But once you are in connection, and once you build your relationship to God, these qualities start to leave you. They start disappearing because you don’t need these qualities. 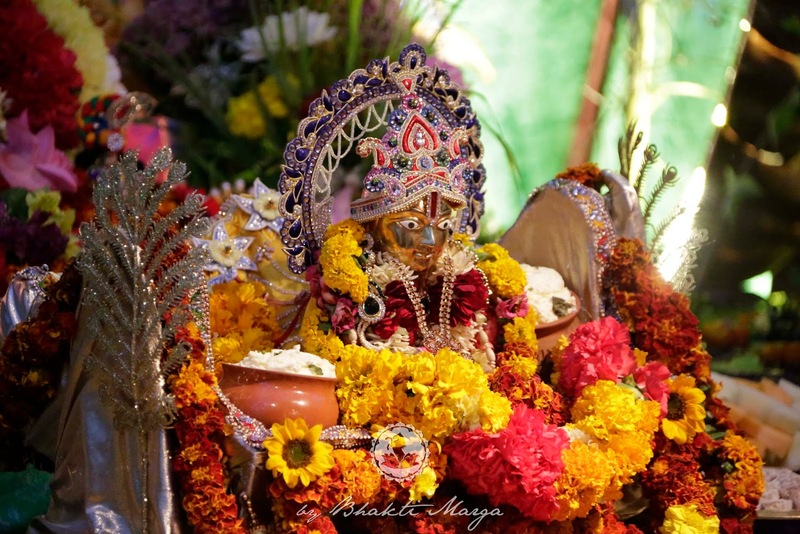 The month is extremely auspicious for Vaishnavas, as it is said that just to offer one Tulsi leaf to the Feet of the Lord during this time gives 10,000 times more punya than offering one cow. 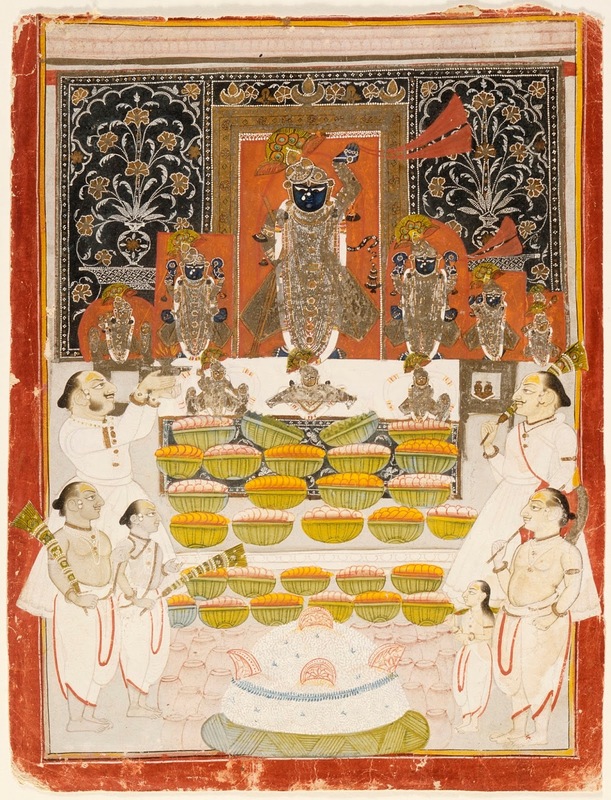 Another important ceremony during the Karthik month is the Govardhan puja. The Govardhan puja is a celebration that remembers the story of Lord Krishna lifting the Govardhana Hill to protect the people of Vrindavan. This is a time when we remember that the Lord always protects His bhaktas, and that the highest worship is to God. 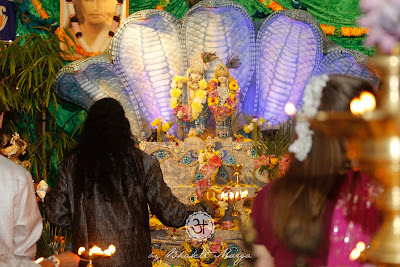 Have a Happy Karthik Month!